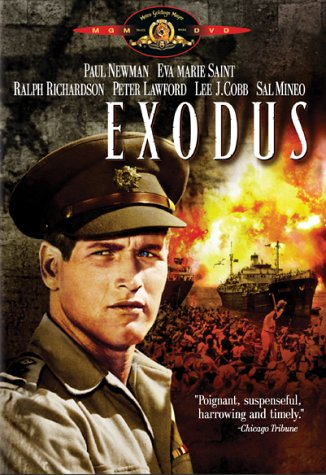 Exodus adapted from the book by Leon Uris was made into a film in 1960. Uris’ novel, published in 1958, is named after the SS Exodus which brought Jewish refugees from France to the British Mandatory Palestine in 1947. The story follows the lives of some of those on board as the state of Israel emerges. בונדאים: סרטו של ערן טורבינר This documentary filmed in Tel-Aviv is about the בונדאים, ‘the Bund’ or alliance, as the Jewish Workers’ Party of Russia, Poland and Lithuania were commonly known. The socialist, Yiddish speaking group in 2006 had 10 ‘active’ members as well as some supporters. The movement struggled to survive after the Second World War, this documentary is about those few who survived. The film is in Hebrew with some Yiddish and there are English subtitles. The collection includes a series of talks and lectures by the late Rabbi Louis Jacobs on a variety of aspects of Judaism including the 10 Commandments, Time and Eternity and great thinkers such as Levinas, Solevetchik and Heschel. Sallah Shabati: סאלח שבתי Sallah Shabati is a comedy about Jewish immigration and settlement in Israel.The film was written and directed by Ephraim Kishon and nominated for an Oscar for best foreign language film in 1964. It is in Hebrew with subtitles in English and French. 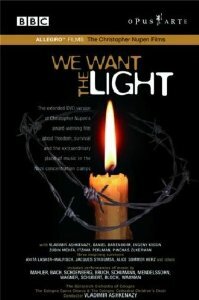 We want the Light a film about music in Nazi concentration camps (1996). Premier Convoi . French Jewish survivors tell of their lives in Auschwitz between 1942 and 1945 (1992). The power of Good : Nicholas Winton Winner of the International Emmy Award 2002 and tells of Czech Kindertransport arranged by Winton, which rescued 669 children from Nazi occupied Czechoslovakia (2003). The Golden Peacock: The voice of the Yiddish writer features 10 Yiddish writers reading from their poetry and prose: Yankev Glatshteyn, Celia Dropkin, H. Leivick, Aron Glanz-Leyeles, Kadya Molodowsky, Yente Mash, Avrom Sutzkever, Sholem Aleichem, Beyle Schaechter-Gottesman, and Yekhiel Shraibman (2001). 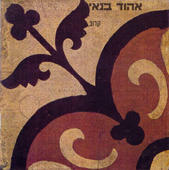 The Upward Flight: The musical world of S. An-Sky is the CD that accompanies the book The worlds of S.An-Sky: a Russian Jewish intellectual at the turn of the century (2006). Esther Ofarim: Live in Tel Aviv. Esther Ofarim had a small role in the film Exodus and has been a recording artist since 1959 (1998). Ehud Banai’s album Karov is a collection of songs written by Banai himself and inspired from a range of sources including Jewish Liturgy and his experience in Europe, including Bob Dylan’s music (1989). Most DVDs and CDs can be borrowed overnight. This entry was posted in Film, German Jews, Music on 18 February 2015 by .